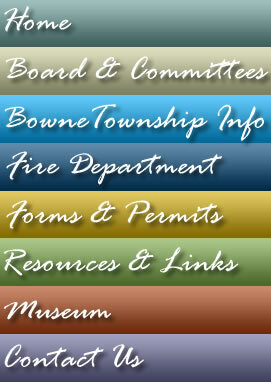 Bowne Township Online Calendar and Community Calendar! Alto, which means "high," received its name from being the highest point along the railroad line on which it is situated. The elevation is somewhat higher to much higher than the surrounding cities of Caledonia, Lowell and Middleville. Alto is situated at 42°51′24″N 85°22′49″W﻿ / ﻿42.85667°N 85.38028°W﻿ on the boundary between section 33 of Lowell Township and section 4 of Bowne Township, although it lies mostly within Bowne. The Alto ZIP code 49302 serves most of Bowne Township as well as portions of Lowell Township to the north, Cascade Township to the northwest, and Caledonia Township to the west. It also serves a very small area of Campbell Township in Ionia County around the community of Elmdale. Kent District Library would like your input. Please go online to this survey and give us feedback so we can make your library incredible. Kent County Road Commission Special Notice. May 25, 2016. Gravel Road Maintenance. Click here. Kent County Road Commission. Political Election Signs in the Right-of-way. Click here. FREE Fire Alarms! Bowne Township Fire Department has smoke detectors available for free by calling 868-6846, leave a message and they will see that you receive a smoke alarm. Order Reflective Address Markers for your mailbox from the Fire Department. The cost is $15. Call the fire department for information 868-6458. Visit BOWNE TOWNSHIP HISTORICAL SOCIETY Online! Contact the Historical Society with any questions.